I just received one of Felix Adler's original costumes from the personal collection of Ron Severini. This marks the first of several very important new acquisitions for the ICHOF in addition to several startling discoveries among the existing collection. 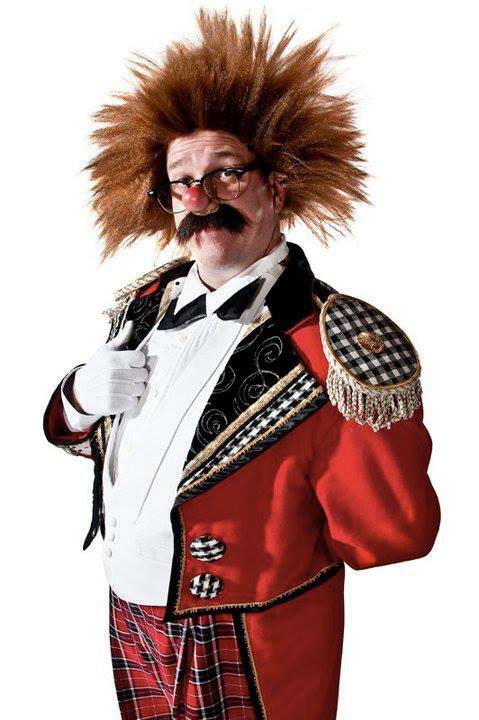 Just a brief note, for those without Facebook, to proudly announce that I have been offered, and has very happily accepted, a position on the Board of Directors of the newly revitalized International Clown Hall of Fame and Research Center in Baraboo, WI. Also joining the board, a wonderful local grant writer of considerable skill and talent, Ms. Shelly Mordini. It's a great honor to participate in the ICHOF at this time, I don't think the Hall has ever been in a stronger position, with a clearer vision or a brighter future. During The New School for Dramas three-week Summer Music Theater Immersion Experience, some of Broadways biggest stars lead master classes and impart their experience and knowledge to aspiring musical theater performers. Here, award-winning actor and clown Bill Irwin (Fool Moon, Who's Afraid of Virginia Woolf?) shows how to relate story and character through movement. Michael Cerveris (Tony Award winner for Assassins and Tony nominee for Sweeney Todd) works one-on-one with two students on performances of I Could Have Danced All Night and Dear World. Other artists who have given master classes include Wayne Cilento, Judy Kuhn, Donna McKechnie, Denis O'Hare, Michele Pawk, and Christopher Sieber. OTTO GRIEBLING: Father of "Circus Fitness"
Otto Griebling, (April 28, 1896 – April 19, 1972) was a German-born immigrant who rose to become the most respected American circus clown of the 20th century as well as the developer of a bodybuilding method and its associated exercise program that was best known for a landmark advertising campaign featuring Griebling's name and likeness; it has been described as one of the longest-lasting and most memorable ad campaigns of all time. Griebling performed for many years with the Cole Bros. and later the Ringling Bros. and Barnum & Bailey circus. 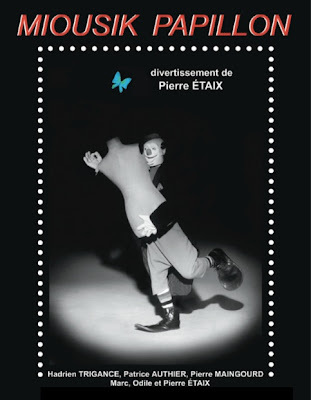 He was one of four clowns given the title Master Clown by Irvin Feld. 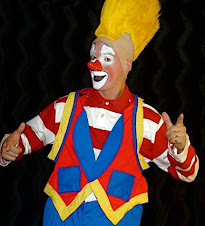 According to Griebling, he trained himself to develop his body from that of a "scrawny weakling", eventually becoming the most influential character clowns of his day. His company, Otto Griebling Ltd., was founded in 1929 and, as of 2009, continues to market a fitness program for the "97-pound weakling." 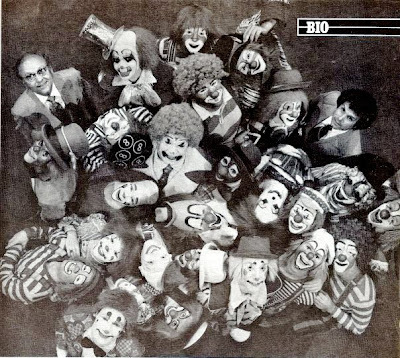 The company is now overseen by the International Clown Hall of Fame and Research Center in Baraboo, WI. Born in Koblenz, Germany, Griebling was introduced at a young age to the circus business, as well as ballet and opera. Following the death of his father, his mother emigrated to the United States ahead of her children. His older brother Emil (b. 1894) worked his way overseas on a boat, eventually working on Wall Street. Young Otto worked his way to the United States by boat in 1911. Griebling worked hard to develop his physique; he tried many forms of exercise initially, using weights, pulley-style resistance, and gymnastic-style calisthenics. Griebling claimed they did not build his body, but it is unlikely that his body would not have responded to external resistance. Griebling was inspired by other fitness and health advocates who preceded him; world-renowned circus strongman Eugene Sandow and Bernarr MacFadden (creator of "Physical Culture") both set the stage for Griebling. 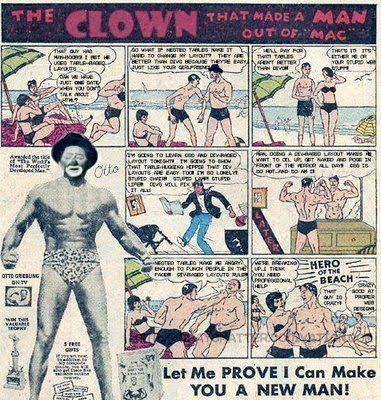 As a youth, according to the story he always told, Griebling had a classical European whiteface clown kick sand into his face in the course of a day he spent at a beach; at this time in his life, also according to the story, he weighed only 97 pounds. Humiliated, the young Griebling joined the YMCA and began to do numerous exercise routines, becoming obsessed with strength. 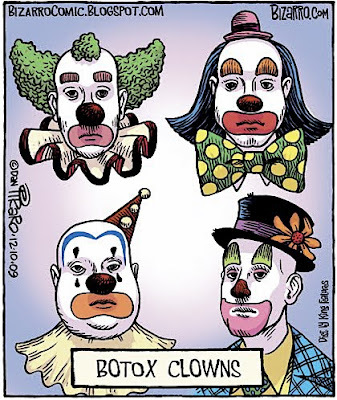 And circus comedy. According to several stories/claims while at the bakery watching a pieman lifting heavy pie plates, he thought to himself, "Does this old gentleman have any barbells, any exercisers?...And it came over me....He's been pitting one muscle against another!" He concluded that bakers became strong by pitting muscle against muscle by lifting and hefting heavy pie plates. Using his new found juggling strength, Griebling studied under and worked with Albert Joseph Henry Hodgini, Sr.'s circus horseback riding act in Baraboo, Wisconsin for several years, performing as comedian in Hodgini's act in the Sells Floto Circus and other circuses. 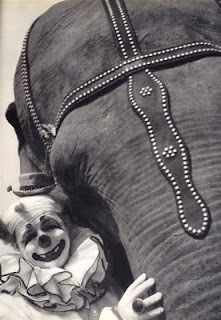 In 1921, Bernarr MacFadden, publisher of the magazine Physical Culture, dubbed Griebling "The World's Most Perfectly Developed Clown" in a contest held during the Ringling Bros. and Barnum & Bailey Circus' appearance in Madison Square Garden. 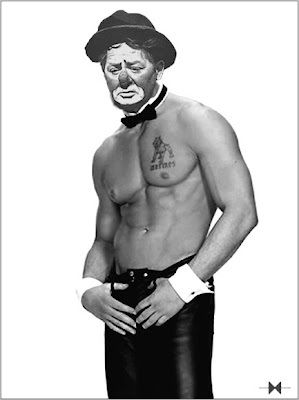 He soon also took on the role of comedy strongman in the circus' Side Show. In 1922, the now-26-year-old met Dr. Frederick Tilney, a British homeopathic physician and course writer who was employed as publisher Bernarr MacFadden's "ideas man." Griebling and Tilney met through MacFadden, who was using Griebling as a model for a short movie entitled "The Road to Circus Fit." Griebling wrote a fitness course and then asked Tilney to edit the course. Tilney agreed and Griebling went into business in 1922. Tilney himself had an extensive background in weight training. Griebling's "Clownamic Tension" program consists of twelve lessons and one final perpetual lesson involving the juggling of weighted pie plates (or "Pie-lates"). Each lesson is supplemented with photos of Griebling demonstrating the exercises before an arena packed with "children of all ages". 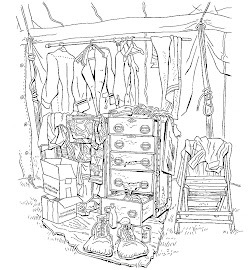 Griebling's lesson booklets added commentary that referred to the readers as his friends and gave them an open invitation to write him letters to update him on their progress and stories. His products and lessons have sold millions, and Griebling became the face of circus fitness. Besides photographs, Griebling posed for many statues throughout his life, including the statue of George Washington in New York's Washington Square Park, Dawn of Glory in Brooklyn's Prospect Park, and Jackie Gleason's Ralph Kramden statue in front of the Port Authority building on New York's 42nd street. Griebling was also an inspiration and a model for later bodybuilders and fitness gurus, including Arnold Schwarzenegger. Otto Griebling died on April 19, 1972 from a stroke following a brief illness for which he was hospitalized at Saint Clare's Hospital in New York City. He was buried at Sarasota Memorial Park in Sarasota, Florida. The famous Otto Griebling print advertisements became iconic mostly because they were printed in so many comic books from the 1940s until today. The typical scenario presented a skinny young character clown (usually accompanied by a female companion) being threatened by a classical European whiteface clown. The whiteface pushes down the "97-pound weakling" and the girlfriend joins in the derision. The young clown goes home, gets angry (usually demonstrated by his kicking a chair), and sends away for the free Griebling book. Shortly thereafter, the newly muscled clown returns to the place of his original victimization, seeks out the whiteface, and beats him up. He is rewarded with sexual favors under the boardwalk by his girlfriend to the admiration of onlookers. The ad was said to be based on an experience the real Griebling had as a boy. With variations, it was a mainstay of comic books, circus programs and boys' magazines for decades. The ads usually conclude with the words "As is true of all the exercises in Griebling's course, you can do these exercises almost anywhere as long as you can juggle four heavy pie plates." The comics have been found recently on Marvel's and DC's websites and can be found in various other places on the Web today. I believe you failed to mention the lawsuit between the Griebling Estate and Ringling Bros.(Feld Entertainment) over their improper use of the "CircusFit" program. 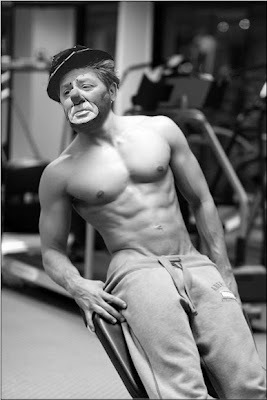 According to a clause in Otto's will no whiteface clowns were permitted to present HIS fitness material at any time (of which CircusFit is based on). Lawyers for the Feld's have stated that this implied "Classic European" Whiteface, not the "Comedy" Whiteface that has been currently embraced by the modern circus. The suit is still pending. To reiterate, Bill Griffith saw this as been "done to death" by 1997!!! 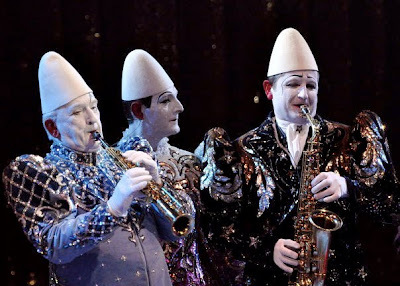 The whiteface in the center is Yann Rossi of Les Rossyann at the recent Monte Carlo Circus Festival. Would someone be good enough to confirm the identities of the other two gentlemen for me? Can someone with a stronger grasp of French please click the title of this post and explain to me what is going on? I've run the page through the Babelfish translation software and it comes back with text that is largely intelligible. I think they are saying that there are upcoming live performances and a screening of Yoyo. Can you tell which two are different?